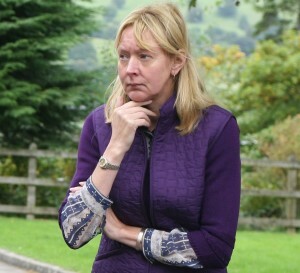 Pooley Bridge holiday park owner, Barbara Allen, has launched a parliamentary petition to try and force MPs to debate dredging. Fears for the future of Cumbria’s tourism industry have prompted the owner of an award-winning Pooley Bridge holiday park to launch an online Parliamentary petition. Barbara Allen, director of Park Foot Caravan and Camping Park, hopes to try and force a debate among MPs on the halt of river dredging in the UK. If her petition passes the 100,000 signature mark, it’s likely that the House of Commons will examine if blocked river beds are at the bottom of Cumbria’s flooding problems. Park Foot is among many tourism businesses in the Lake District hit hard by December’s deluges.